The end of the Great Patriotic War remains an important day to celebrate for Russians. 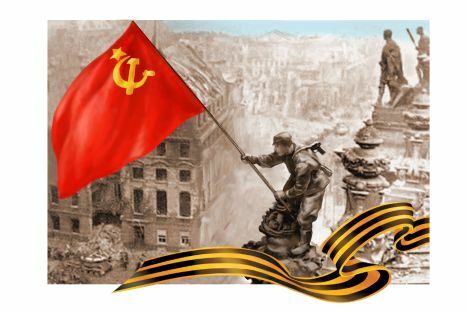 In 2012, Russia will celebrate the 67th anniversary of the end of the Great Patriotic War. In Russia, the Great Patriotic War is the war between the Soviet Union and Nazi Germany, which lasted from the German invasion of Russia on June 22, 1941 until Germany signed its unconditional surrender on May 9 1945. This title comes from a radio address made by Joseph Stalin to the Soviet people on July 3, 1941, when the leader of the Soviet Union called on the entire nation to fight the invaders. Beyond the boundaries of the former Soviet Union, however, the Great Patriotic War is generally known as the Eastern Front of World War II. This mission was accomplished. Although the victory was attained through the efforts of many countries, it was the Soviet Union that eliminated the bulk of the German army. More than 74 percent of the Wehrmacht’s total losses (10 million soldiers out of 13.4 million) resulted from battles with the Soviet army. Analyzing the impact of Soviet forces on World War II, U.S. President Franklin D. Roosevelt said: “I find it difficult to get away from the simple fact that the Russian armies are killing more Axis personnel and destroying more Axis materiel than all the other 25 nations put together.” The Red Army eliminated and captured 607 enemy divisions in 1941-1945, compared with 176 divisions eliminated by British and American troops. Nazi Germany had six times more personnel killed and wounded on the Eastern front than in the Western Front and in the Mediterranean Theater combined. Russians are naturally proud of their victory and are not ready to regard the Great Patriotic War as one of many fronts of World War II. The St. George’s Ribbon campaign, during which symbolic ribbons with the orange-and-black pattern of the Order of St. George are distributed in the streets, is a perfect example. Held annually since 2005, the campaign celebrates Victory Day. Importantly, it was a public initiative that was later embraced by state officials. According to the campaign organizers, their objective is to “prevent new generations from forgetting who won the most terrible war of the last century, the price that was paid, and who and what we must be proud of and remember.” The slogans of the campaign include “My Grandfather’s Victory is My Own!”, “I Remember! I am Proud!”, “We are Descendants of the Great Victory!” and many more. More than 50 million St. George ribbons have been distributed throughout the world during the last six years – all countries with a Russian diaspora are involved. According to recent polls, 73 percent of Russians believe the St. George Ribbon is a positive initiative. Since the Soviet era, May 9 has remained a symbol of the unity of the Russian nation. Attempts to peg the victory to the Stalin regime and create a feeling of guilt in the grandchildren and great-grandchildren of the victors for their grandfathers’ feats have failed. Russians today perceive the war as a great, patriotic war feat of the people, without focusing on political leaders.